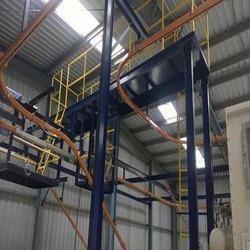 We are a leading Manufacturer of overhead conveyor with rise and fall and overhead flexible conveyor from Pune, India. We are a noteworthy manufacturer and supplier of a superior quality Overhead Conveyor with Rise and Fall. The provided conveyors are manufactured with utmost precision and sternly checked against diverse parameters of quality to dispatch a hassle free range at our patron’s end. Moreover, our offered belts are extensively used in paint shops to handle the material. These belts can be availed by our esteemed clients from us at industry leading prices. 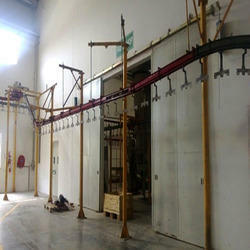 We are amongst the leading industry in the manufacturing & supplying of Overhead Flexible Conveyor. In compliance with the industry norms, these conveyors are developed to suit the various industry requirements. We have made these conveyors under the vigilance and leadership of the industry experts, who keep an eye on every stage of the ongoing processes to ensure their flawless performance. Looking for Overhead Conveyors ?